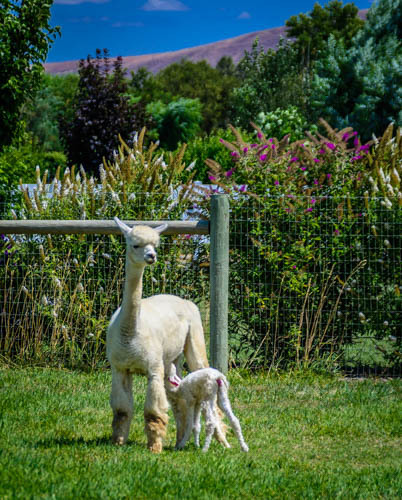 PacaPoo, LLC is a farm located in Prosser, Washington owned by Dawn Beals. 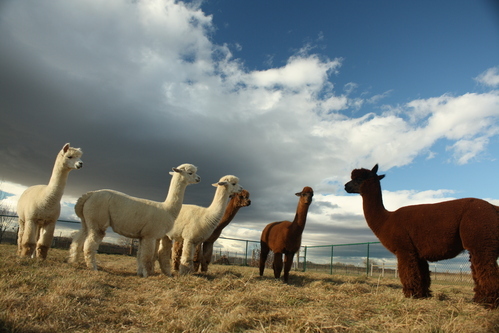 Visit our farm store for a unique selection of alpaca goods made from fiber we can name. Shopping and farm tours daily by appointment. Call or e-mail today to schedule your visit. PacaPoo, LLC is located in Prosser, Washington, the birthplace of Washington wine. Of all the goals on our farm (or within our business), treating all our animals with kindness and respect is paramount. This engenders trust, fosters relationships, and creates fun on the farm. 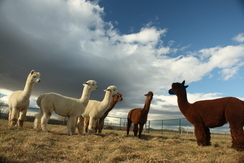 Well conformed alpacas with fine, dense fiber is a primary breeding goal. We have intentionally introduced differing genetics within our herd to allow sustained genetic improvement as well as to facilitate rapid adaptation to changing breeding objectives. Exceptional fiber on a strong frame, along with agreeable temperament, are hallmarks of our breeding program. PLEASE: No dogs allowed at the farm. Please do not bring them and leave them in your car. While our Livestock Guardian Dogs are sweet and BIG, they also have a job to do and that is to protect the alpacas. They do not know the difference between a pet and a threat. Thank you. 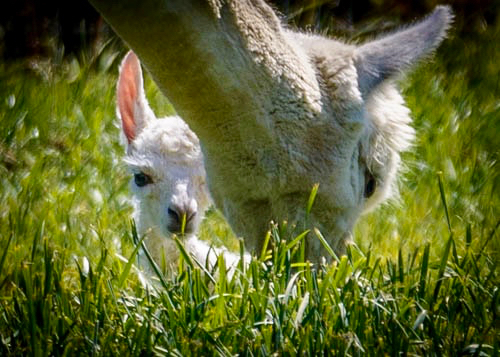 All alpacas sell with full reproductive guarantees. Pregnant females sell with live-birth guarantees. Boarding is available free for 60 days after purchase after which a daily fee will apply. 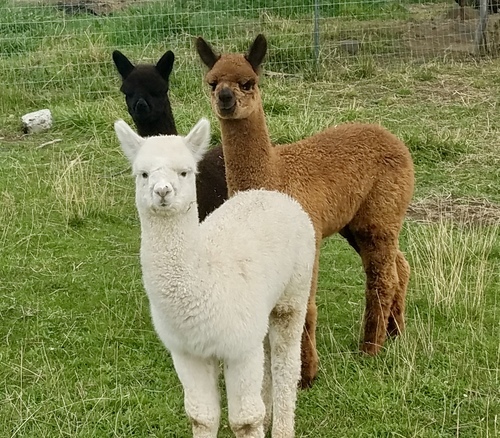 With your purchase of alpacas from PacaPoo, LLC, you may request 12 months interest-free financing, or 24 months financing at low interest rates.